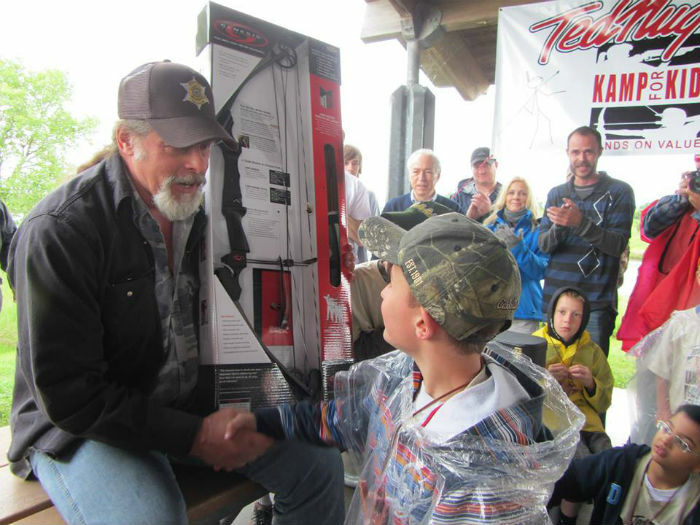 Ted Nugent Kamp for Kids was founded by Mr. Nugent in 1990. The Goal: To get kids out of the malls, off the streets, away from drugs and crime, and into the woods. It’s where we belong, and the best place to teach a child about morals and ethics, and our role as caring humans to manage and respect the wildlife around us. 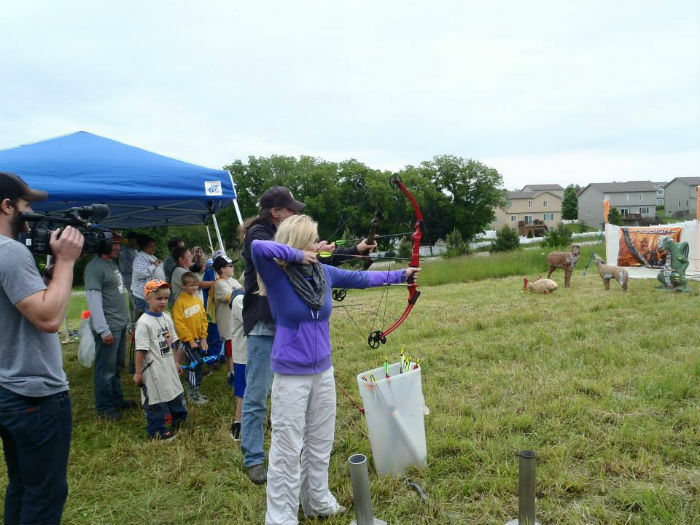 Originally focused on Archery, the Kamp for Kids has expanded to encompass many forms of outdoor recreation. Currently, Kamp sessions are a one day, 8 hour "immersion" event, taught in an outdoor class-format. 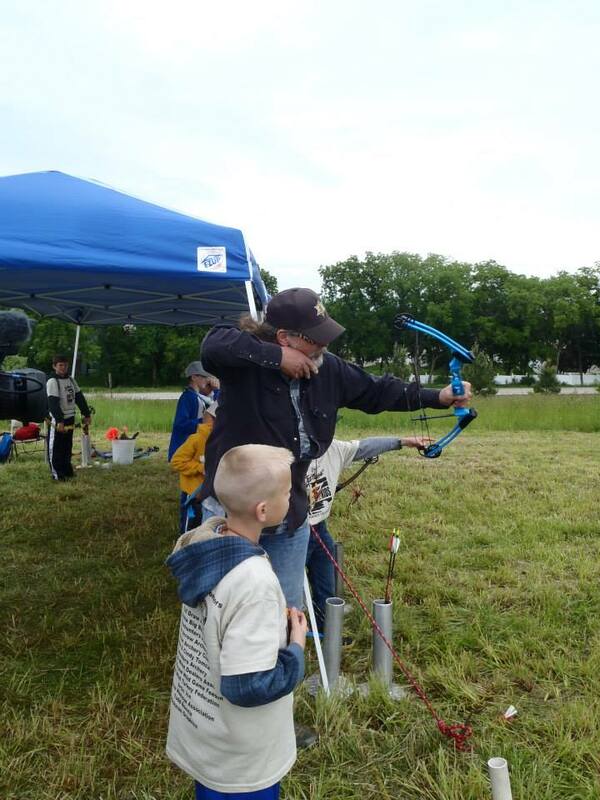 Children aged 8-15 are taught the basics of Archery, Air guns, Fishing, Trapping, Sling Shots, Wildlife Calling, Outdoor Survival and First Aid, along with the history of man and beast coexisting. Kampers don't just listen to an instructor - they get to participate in these activities! Marksmanship fundamentals and SAFETY are the rule in everything we teach. Based on the thousands of letters we've received from past Kampers, each and every youngster leaves the Kamp as better, more informed, and more aware young person. We are currently holding Kamp for Kids events on a yearly basis in Nebraska, Iowa, Colorado and South Dakota. Ted attends as many Kamps as possible, to personally present his upbeat pro-hunting, anti-drug message and provide musical inspiration via a special "campfire performance" for the youngsters. Please donate today towards the Ted Nugent Kamp For Kids. For more information, including enrolment, please visit the Ted Nugent Kamp for Kids page.